There is a widespread military expression attributed to General Omar Bradley: “Dilettantes talk about strategy, amateurs about tactics, professional soldiers talk about logistics.” By that standard no soldiers of the Canadian Expeditionary Force were more professional than the 127th Battalion. The Queen’s York Rangers played the greater part in raising four battalions for service overseas during the First World War, two of which served in France. The 20th Battalion turned into hard-bitten veterans of the Somme, Vimy Ridge, Hill-70, Passchendaele, and the terrible glory of the last 100 days from Amiens to Mons where the Canadian Corps punctured every last defence line the Germans established. 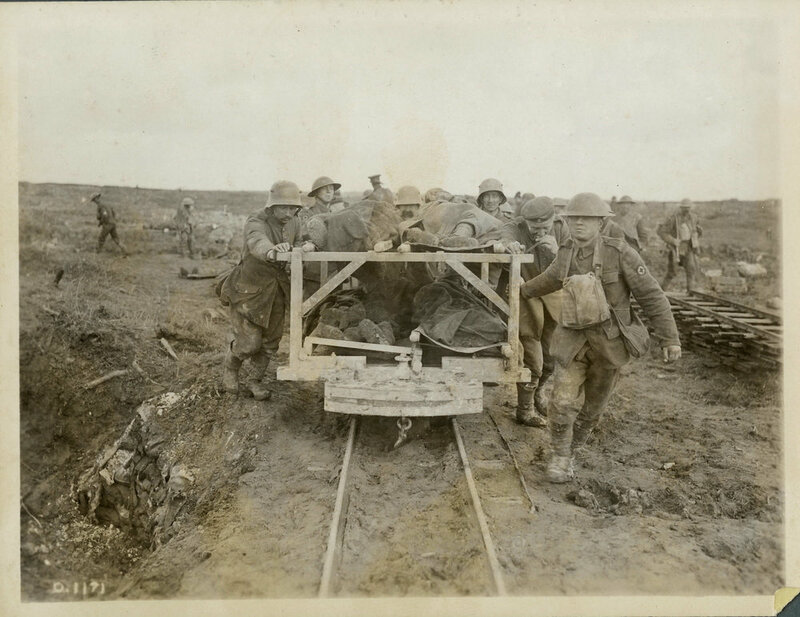 Step by step behind them was the 127th, blazing a unique path of their own as railroad construction troops; probably the most expert ones in the entire First World War. The paradigm of the trenches on the Western Front was a simple one. The new firepower technology demonstrated in 1914 wasn’t yet matched by effective new transportation technology or that of communications. Tactical mobility on the battlefield was still based on foot and horse, where operational and strategic mobility was by rail. 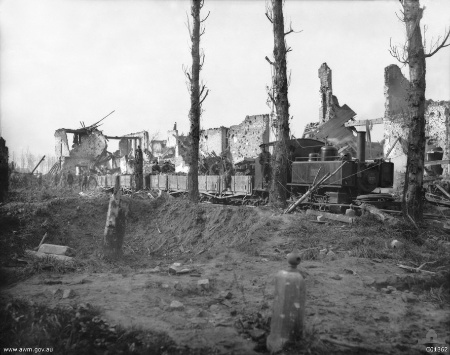 On a First World War battlefield, a successful attacker literally walked away from his rail-heads and supply dumps into a zone of devastation whereas the failed defender fell back towards his. Success couldn’t be exploited faster than failure could be reinforced. The 127th changed this paradigm. Frederick Fieldhouse Clarke was an engineer and surveyor, and the newly appointed commanding officer of yet another battalion of volunteers determined to get to France and ‘do their bit’. The 127th started recruiting in York County in the fall of 1915 under the aegis of the 12th York Rangers (Clarke had been a member of the regiment for almost 20 years). The newly promoted LCol Clarke knew his business, and the new battalion soon developed a keen pride in their emerging skills – particularly in route marching. In August 1916, the 127th Battalion landed in England to bitter news. Given the way the war was consuming men, the 127th would be broken up to provide drafts of reinforcements for the four divisions Canada had in the field. This was distressing news, but Clarke saw a way to keep most of his battalion together. Of the battalion’s officers, 22 had been engineers or involved in construction work in civilian life while 800 of the men had similar experience or were railway workers. Why not keep the battalion together as a railway construction unit? Two of the officers and 365 of the men were peeled off to replacement pools, most of the rest of the 127th started refitting for a new existence as railway construction engineers. The 127th became the 2nd Battalion of Canadian Railway Troops and went to France in January 1917. They were badly needed. The 12,000 men of an infantry division in the trenches needed about 1,000 tons of supplies delivered to them every day – even more (especially in artillery ammunition) if a major attack was in the offing. Light railway lines were the best way to bring most of this forward into the reach of enemy artillery. For the 127th, there were railroad spurs to survey, grade and build beds for even before any rails were laid down. There were damaged lines to repair, railroad yards and termini to construct, and bridges to erect. Their work took them all over the British/Dominion sections of the Front, and often within reach of the Germans. 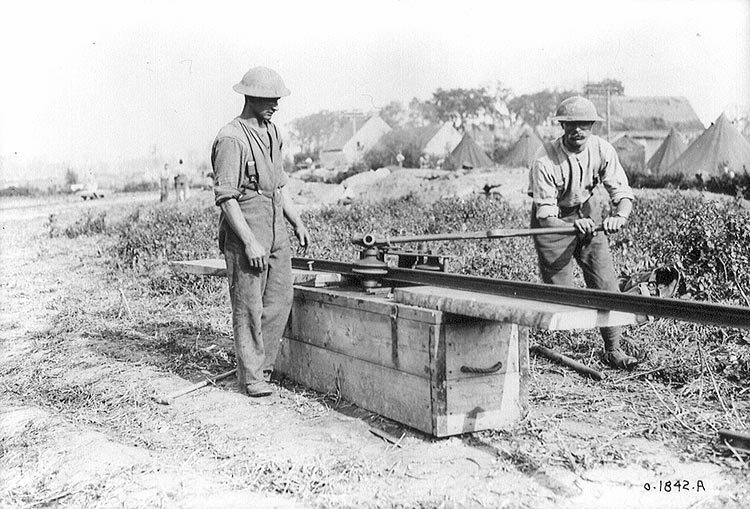 While ordinary labour units could sometimes assist railroad troops, the Canadians were sought for their expertise in rapid and unusual construction techniques under difficult circumstances. LCol Clarke and many of his men had built rail lines in Northern Canada where thick muskeg swamp and granite ridges are often side by side. A talent for improvisation and innovation were crucial, and the 127th had those qualities in full. Railroad troops also ran their own machine-shops, water-pumping stations (steam locomotives are thirsty beasts), and had to salvage and repair engines and rolling stock. There were also dud munitions and booby traps to clear off captured line – particularly whenever the Germans gave ground. The 127th rose to every challenge both routine and unusual. When they could, they also remembered they were soldiers and not just railway workers in uniform. They stayed a hard-marching unit whenever possible – often engaging in route marches even when they could have ridden the rails. They were unusual in another way too. In March 1918, the Germans were reinforced by 600,000 troops released after their peace with the new Soviet Union. They unleashed some major offensives on the Western Front that undid many of the painful gains of 1916 and 1917, and rolled the British back towards Amiens. The situation was grim and Allied commanders combed out every body they could find to plug the growing gaps in their front lines at the height of the crisis. The 127th finally had the chance to show their infantry training to advantage. Trucked into Amiens on March 27th, the engineers combed the chaos of the town for heavier weapons than their rifles and then went out to the trenches. In the last 100 days of the War on the Western Front, the 127th and the rest of the Canadian Railway Troops were a vital asset is sustaining the Canadian Corps’ extraordinary advance from Amiens to Mons. Their skills allowed light railway lines to rapidly thread behind the advancing Canadian divisions and keep bringing up ammunition fast enough to sustain a series of successful offences. The paradigm of the trenches still held, but it was far weaker than before, and no German defence line stood once the Canadians came up against it. By the time the fighting ended, the 127th Battalion of the CEF amassed four awards of the DSO, three Military Crosses, and 21 Military Medals among other medals and distinctions. However, 64 members of the 127th Battalion died in service, while 175 were injured. November 11th did not bring an end to work for the 127th Battalion either, they still had a full docket of repair work to do. There was also the site where a massive German ammunition train had exploded near Charleroi in Belgium on November 14th, shredding a train, a bridge, the rail line and an unknown number of retiring German soldiers as it did. The repair work, with some shells still exploding in the smoldering wreckage, fell to the 127th as well. Glad news came quickly after that. The 127th was slated for an early return to Canada in January 1919. They celebrated Christmas in fine style, and in January started shipping parties of men home. Unlike the 20th, they did not return as a battalion or with a parade. Instead, each man was given his choice of destination in Canada, and so they quietly parted company and returned to the rest of their lives.